The traditional annealing method is performed in a so called open furnace, where the atmospheric oxygen causes scaling of the heat treated materials, which makes the surface rough. Developing a special bright annealing process, the heat treatment is performed in a so called closed furnace. The heat treated materials is protected by an inter gas atmosphere, which guarantees the oxygen cannot enter the furnace or come in to contact with the materials and react to form scale on or tarnish the materials. The surface finish is clean, bright and precision, which is an excellent starting point for further process, like electro-polishing and mechanical polishing. Especially for the tube with length more than 12 meters, the traditional pickling tube is very hard to clean the inner surface, however, with the bright annealing method, the tubing is much cleaner, smoother on both inner and outer surfaces. Using bright annealing method, the temperature of furnace can reach more than 1350℃, and the tolerance for the setting and real temperature can be controlled within +/-2℃, which is impossible for the traditional annealing. 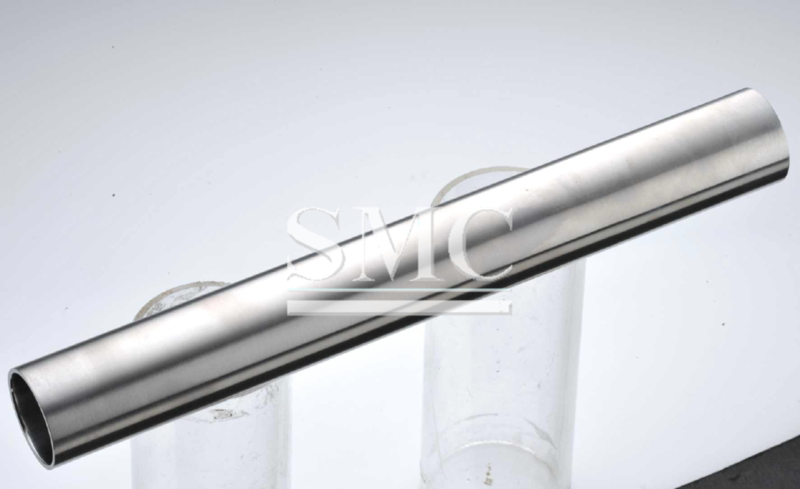 To ensure the quality of each tube, all tubes are done 100% PMI test, 100% Hydraulic, 100% inner cleaned by sponge, 100% dimension test, and 100% surface test. What’s more, the quality of precision drawn tubing is same to precision rolling, but has more advantage on price. Using the advanced cold drawn technology from Japan and Korean, making the close dimension controls.